The Anglo Arts CMF Scholarship is in full swing in London! Cellist Abner Jairo Ortiz Garcia, the second CMF Mexican International Scholar, has arrived in London for his CMF experience! 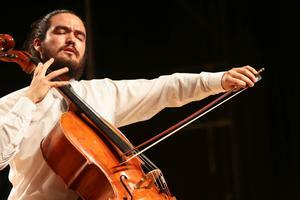 In April 2018, cellist Abner Jairo Ortiz Garcia was selected to be the second CMF Mexican International Scholar, in a scheme run in partnership with Anglo Arts. La comedia imperdible llega a México después de su exitazo en Londres y Nueva York. No hay nadie que pueda mostrarte una mejor noche en la calle que Karl Heinrich Marx.